Why so many ladies love to use mink lashes? The mink eyelashes are the one of the most luxurious and exclusive looking of all eyelashes, although the lash extensions are normally found as a simple lashes that can be applied when you are required. The mink lashes are mostly preferred and used by the celebrities who do not always wish to use the permanent implant. 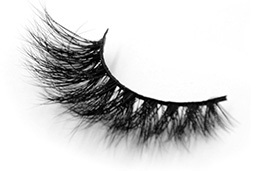 The mink eyelashes are made from the mink fur hairs and that are simply brushed from live mink by hand. These mink lashes are not subjected to dyes or chemicals and thus retain their velvety appearance and this appearance makes the many celebrities to use the mink eyelash product and following are the two things which you need to do when you care for your mink eyelashes. They are. The cost of the mink eyelashes can be anywhere between $100 to $300 for a reasonable set and it also comes as bejeweled, complete strips or in the form of small cluster. You can also purchase the individual lashes for the lash extensions if you prefer this option, but you will need to have these things professionally applied. Be aware of the fake mink lashes try to by the high quality strip mink lashes because it will guarantee the 100% natural mink fur. A current improvement in the actual enhancement of the woman’s eyelash is invention of the lashes extensions. The difference between the false eyelash and lash extension is that the false eyelash is reproduction of the complete eyelash which is glued on the base. This eyelash can be used only for the short period of term enhancement, just for improving the appearance of eyelashes. The eye lashes extensions is the series of the individual eyelashes that is glued to the current eyelashes and this will last for around 4 weeks. The eyelash extensions are produced in organic manner by using the actual human hair, artificial fiber or mink hair, manmade fiber. The latest eyelash extensions tend to be of mink hair or from manmade fiber. The mink lashes extensions can be taken off only by a trained beautician, you can also remove it by yourself at home but it consumes more time where you need to take more number of attempts to remove it. These kinds of the eyelash extensions can be used without making use of the mascara and even without the addition mascara the eyelashes will last for longer period and appear fuller compared to the natural eyelash. In the event of the mascara it should not be of oil based one because this will affect the glue utilized to bond the actual eyelash extension to the natural eyelash.